Although we’ve had plenty of point releases over the past few years, it might surprise you to learn that the last new ‘full’ version of Ableton Live was launched in 2013 - a long time ago in music software terms. The long wait for news of Live 10 is over, though; it’s been confirmed that the software will be released in the first quarter of 2018. Until then, Live fans will have to be content with poring over the details of the update, and there are plenty of them. Live 10 will bring four new Devices, a redesigned sound library, workflow enhancements and the option to have Max for Live fully baked into the software. Improvements to Push, Ableton’s excellent pad controller, are also in the offing. Let’s start by looking at those new Devices, the first of which is a synth that goes by the name of Wavetable. This includes a variety of waveforms derived from both analogue synths and other instruments, plus modelled analogue filters and a flexible modulation system. The new effects, meanwhile, include the Echo delay (this promises everything from analogue and digital textures to diffused soundscapes and wailing feedback), Drum Buss (a drum sculpting tool), and Pedal (a combined overdrive, distortion and fuzz guitar processor that can also be used to warm up other sounds). Ableton is also adding a number of workflow enhancements that it says will speed up the music creation process, too. While the software still looks very much like the Live you know and love, its interface has been updated to be cleaner and clearer, while Capture does as it says and archives your ideas automatically, even if you haven’t decided to record, so you’ll never lose a moment of inspiration. On more practical levels, you can now edit multiple MIDI clips in one view, various improvements have been made to the Arrangement View, and your favourite or most-used “musical elements” can be accessed quickly via the Browser Collections. The Groups within groups feature is designed to give you better Set organisation, while Note chasing triggers MIDI notes even if you start playback in the middle of them (on a pad sound or a sustained note, for example). You can now rename your inputs and outputs, too, making it easier to keep track of what’s going where, and improvements have been made to Live’s mixing features. Elsewhere, things have changed in the sound library. The core library has been upgraded to include richer and more detailed sounds, and also organised better to make it easier to find them. 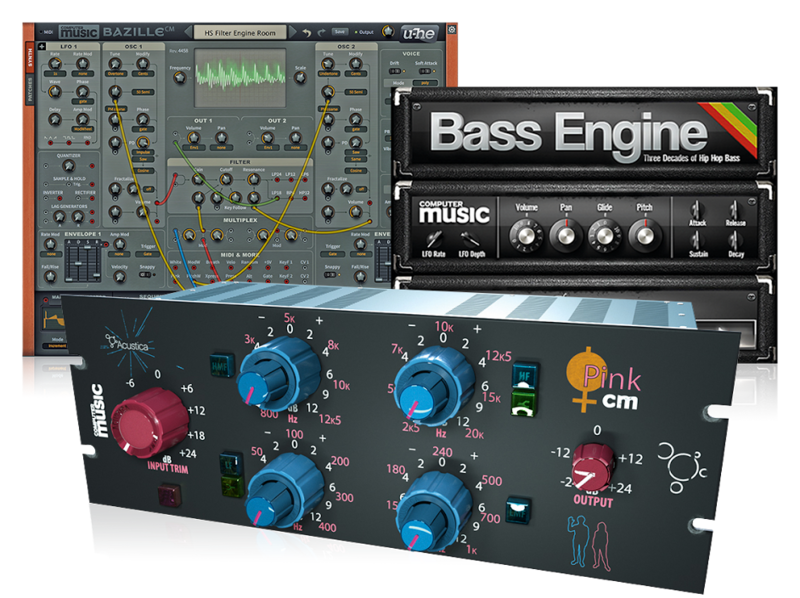 You can now access four new Packs of Essential Instruments, including synths and multisampled electric piano and drum sounds, while Curated Collections are packs of instruments, clips and samples based on a common sonic theme. That’s the bulk of the core Live 10 stuff covered, but there are also treats for Push and Max for Live users. In regard to Push, there’s a new step sequencing layout for simultaneous note sequencing and real time playing, and notes in a clip are now displayed directly on the hardware itself. Push can also now display detailed views of various key Ableton Devices, and workflow enhancements are designed to make the creative process that bit more fluid. As for Max for Live - which ships with Live Suite - full integration should mean faster device loading times, lower CPU usage and a more Live-like feel for the devices, some of which have been updated. There are also new audio routing capabilities, and Max for Live devices can now send and receive SysEx data. On arrival, download versions of Ableton Live 10 will cost £69/$99/€79 for Live Intro, £319/$449/€349 for Live Standard, and £539/$749/€599 for Live Suite. Boxed versions will cost £89/$99/€99 for Live Intro, £359/$499/€399 for Live Standard, and £579/$799/€649 for Live Suite. Before that, all versions of Live 9 will be offered at a 20% discount, and anyone who buys one of these will be entitled to a free upgrade to the corresponding version of Live 10 when it’s released. Find out more on the Ableton website.